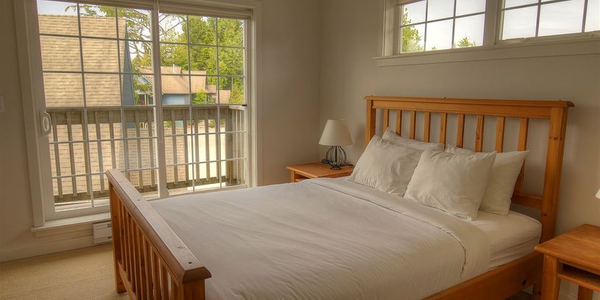 Ucluelet is situated on the stunning west coast of the Pacific Ocean on Vancouver Island. 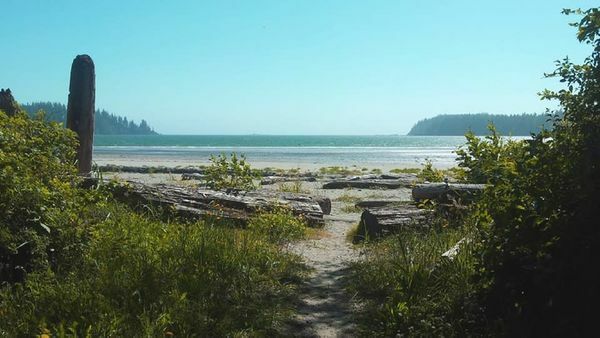 It’s positioned in the famous Pacific Rim National Park that encompasses a total area of almost 50,000 hectares of land and ocean known as Long Beach, the Broken Group Islands and the West Coast Trail makes it an excellent destination. Miles of sandy beaches and pounding surf that attract thousands to experience the rolling swells that make it a perfect spot for those who love to ride the waves. 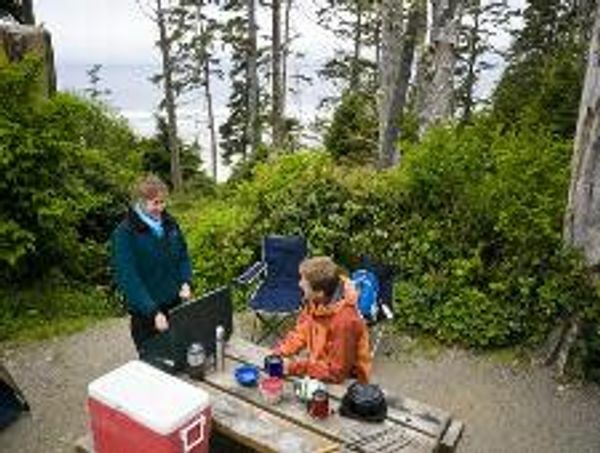 The most popular beaches, and the most accessible from Ucluelet, are Wickaninnish Beach and Long Beach. 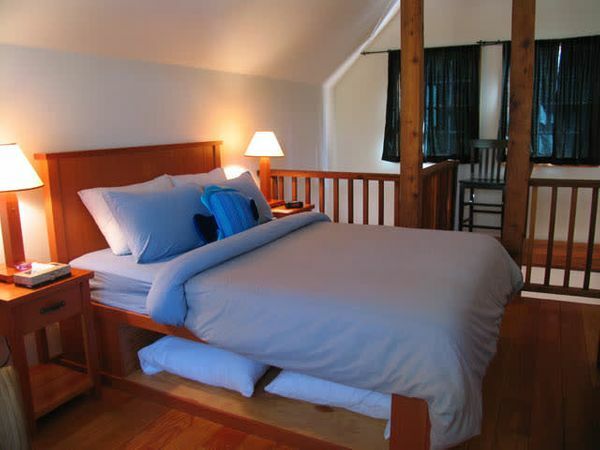 Sport fishing, whale watching, nature cruises, hiking, kayaking, beach combing, and eco-tourism abound. There are also attractions to visit. At the interactive Ucluelet Aquarium you will see examples of fascinating marine life all of which are gathered from local waters near Ucluelet and released back into the wild at the end of each season. The region inspires hundreds of artists along the west coast of Vancouver Island. 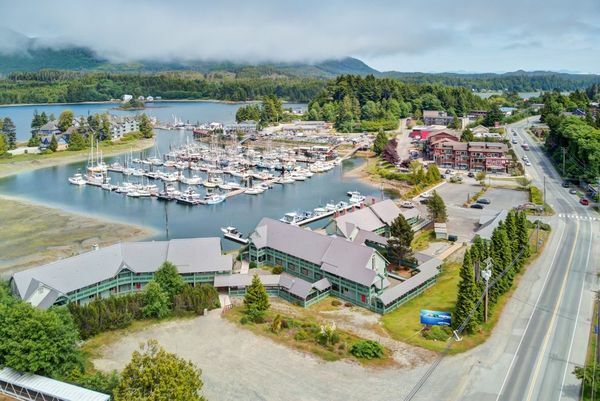 Spend time in one of the many art galleries and shops in Ucluelet, showcasing local photography, paintings, drawings, carvings, glass art, weaving, tapestries, pottery, and jewellery. 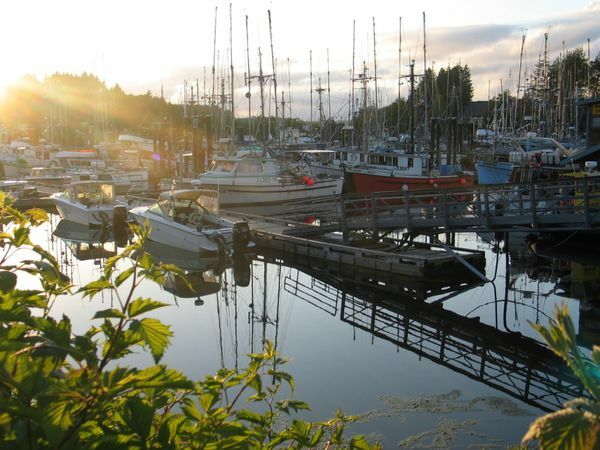 Home to the Nuu-chah-nulth people, the west coast showcases legendary First Nations carvers, weavers, and painters as they create traditional art. Relax on the beach and watch the world go by and plan for a return trip in the winter to do some storm watching. 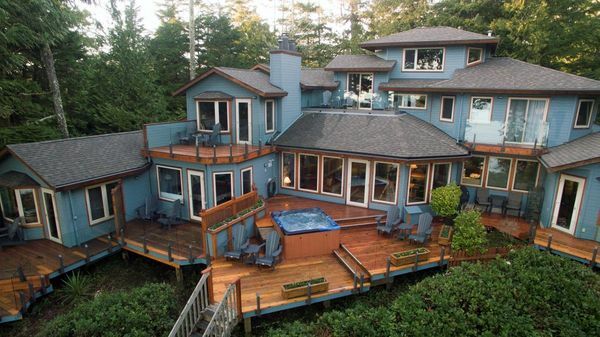 Ucluelet is located on the west coast of Vancouver Island. It is 26 km (16 mi) south of Tofino, 100 km (62 mi) west of Port Alberni and 180 km (112 mi) northwest of Nanaimo on the east coast. From Nanaimo head north and exit west on Highway 4, Pacific Rim Highway, towards Port Alberni, Tofino and Ucluelet. 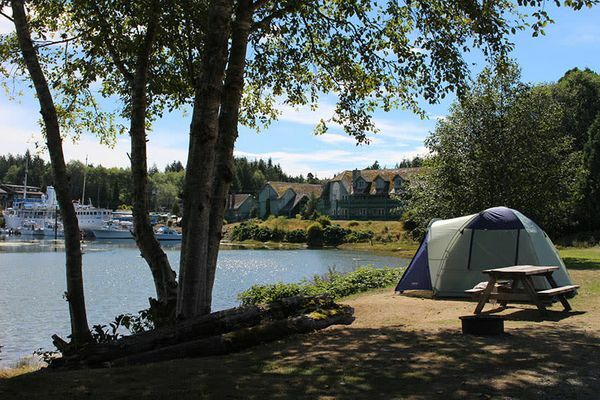 Ucluelet is a Nuu-chah-nulth First Nation word meaning ‘safe harbour’ or ‘safe landing place’. Archaeological evidence indicates First Nations have lived here for at least 4,300 years. European explorers first set foot in the Ucluelet area in 1778 when Captain James Cook arrived. Captain James Barkley followed in 1787 in search of sea otter pelts. Settlement didn’t start until the late 1800s when Captain Francis, the owner of several sealing schooners, established a trading post. The discovery of gold around 1900 at nearby Wreck Bay (also called Florencia Bay) brought more settlers to the area. But pursuing the gold commercially eventually proved impractical. Mining again figured prominently in Ucluelet’s economy in the early 1960s when iron concentrates were shipped to Japan and Ucluelet became the largest shipper of iron concentrates in British Columbia. The turn of the 20th century also brought development of a fishing industry and with it more people settled in Ucluelet. The predominant species were salmon, halibut, cod, and herring. As a result of the increasing catch, canneries, fish buying stations, reduction plants, and processing facilities were added to the area’s infrastructure. Fishing really started to realize its potential after World War I. Japanese fishermen from Steveston settled around 1920. The introduction of their salmon trolling method also helped the fishing industry grow. Forestry figures prominently in much of Ucluelet’s history and lifestyle but logging really started to dominate in the 1950s. 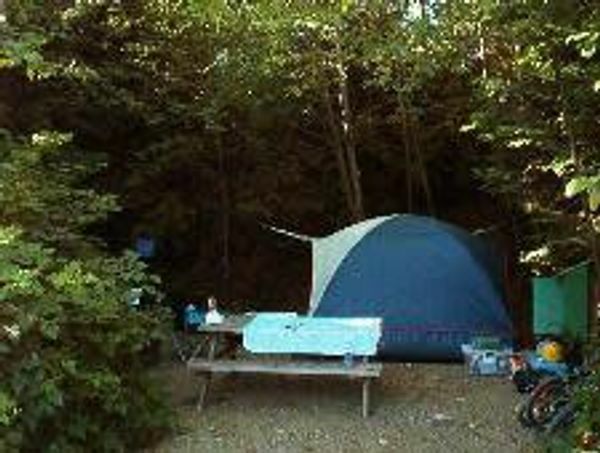 For close to 40 years forestry provided families in Ucluelet with a reliable and relatively prosperous income. Like fishing, however, forestry has its ups and downs; dependent on market conditions and dependent on environmental concerns. The gradual establishment of road access to and from the area greatly influenced the community’s history. During World War II a road was built connecting Ucluelet and its sea plane base with Tofino to the northwest. The road was built, principally to provide access to the military airport at the mid-way point at Long Beach. In 1959 the road to Port Alberni, 100 km (62 mi) to the east was finally opened. Today, close to one million people visit the West Coast each year.